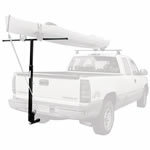 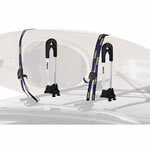 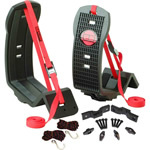 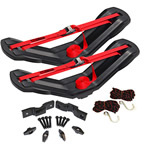 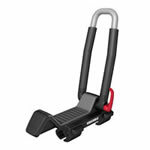 Clavey Paddlesports offers a great selection of kayak and canoe carriers that will attach to a rack, car roof, and trailer so you can safely transport your boats to and from the water. 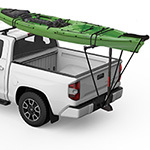 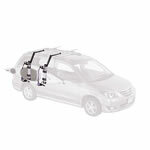 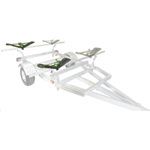 We carry the two main styles of kayak carriers by Thule, Yakima and Malone; J Style carriers that carry a kayak on its side and cradle / saddle style carriers that carry kayaks hull side down. 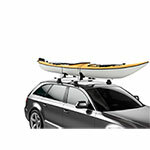 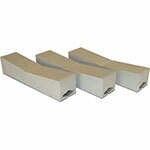 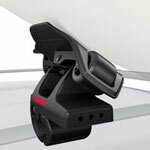 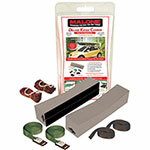 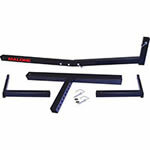 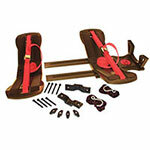 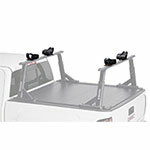 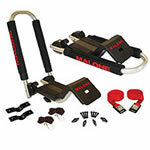 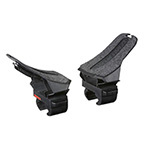 We also carry foam pads that attach to your cross bars for your canoe. 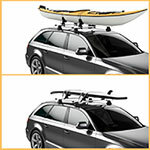 Expert knowledge and professional rack installation are always available at Clavey Paddlesports.